Home » Three things to help you overcome the ONE person standing in your way. There’s going to be times in your life that you’ll feel the “spark” of inspiration or tug that pulls you to do something more and you’ll want to dig deeper and follow it but then inevitably there’s ONE person standing in your way…YOU. You are pretty compelling too and have stopped yourself on a number of occasions already so what’s going to stop you now? I have THREE tips to help you overcome YOU and prepare you for that one on one battle against yourself. There was a blog that I used to love and look at frequently. It was called, STOP STARTING and START SEWING! I came across this blog by accident (this was in the pre-pinterest days) and the name was so catchy I had to check it out. This lady is incredible with her seamstress skills and adorable projects. I’d go to her site all the time and before I knew it I’d spent an hour or so looking at her site and all the while as I’m looking at HER work and wishing and wanting to create something of my own I was still just sitting there…staring. I’d repeat the name over and over, like a mantra, telling myself – willing myself to get up and get productive but there were so many compelling reasons not to, like: it’s comfy where I’m at, I’m getting all kinds of good ideas for later…, I’ve already been productive…a lot today!, once I get all that stuff out it’s going to be time to get dinner going and yeah, I don’t even know what I want to make yet, etc. So inevitably more often than not I’d do the exact opposite of her blog name and I’d just stare at her projects and creations rather than making any of my own. I tell you this because there are going to be times when you are given that spark of inspiration or an idea to pursue and you’ll have a choice to make: You can either sit there…staring or you can STOP staring and START. 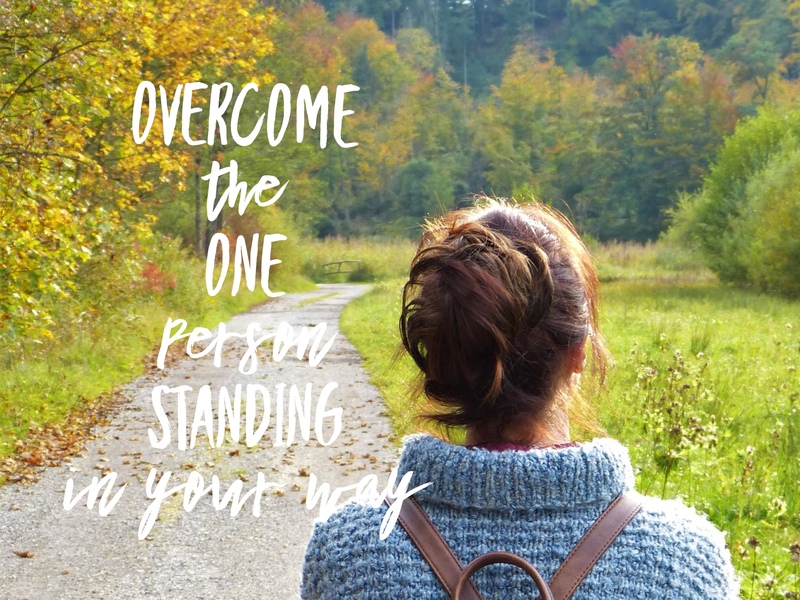 But before you start you’re going to need to get over the ONE person standing in your way: YOU. Your brain is going to tell you all kinds of reasons WHY you shouldn’t start, why you should just STAY where you’re at but I want to give you a few tips to help you overcome your well intended but overprotective and somewhat lazy brain. I say well intended and lazy because your brain really just wants to be efficient at what it does. That means getting really good at what is already KNOWN. If you want to do something NEW you’re going to need to create new neuro-pathways and think new things. This is why I say, somewhat lazy. Your brain will say something like, No, that’s too much work. Let’s just scroll through instagram instead. It’s okay that your brain does that. Mine does too. But ultimately YOU are in charge and giving yourself these few things to overcome the part of you that just wants you to stay safe and small. The first, DECIDE what you want. Easier said than done. But as I was scrolling through that lovely blog I felt a tug inside me that really did want to do something. I didn’t know what yet. I didn’t have a specific project in mind but I knew that I wanted to do more than stare at a screen. That is enough sometimes. Just deciding you want something more than just what you’re currently doing. This might be a job, maybe you know deep down that there’s something else you really want to explore a bit more or that you are capable of MORE. DECIDE what you want. You’ll get burnt out! You’re already doing all this other stuff! It’s going to take so much work. You’re going to have to get up earlier. Wouldn’t you rather sleep? You don’t even really know how to go about it, let’s just stay here. 2.) Limiting Beliefs and FEARS – if the first tactic didn’t work giving you all the reasons you shouldn’t go for it then it’s going to go for the big one: FEAR. You’re not good enough to do that. You couldn’t do it before. Why do you think you can do it now? You’ll just fail. It’ll be embarrassing. No one joining you, listening to you, following you, etc. These things are normal and part of the process each time you tell yourself you want to do something new. Sometimes if it’s sewing like I said earlier it’s a little easier to sit down and give myself a little chat because it’s a pretty safe activity. I’m not really in fear that I’m going to embarrass myself in my own home at my sewing machine…or if I do, it’s going to be in front of myself and I can quickly discard of the failed project. But when you’re talking about something BIG, something like: going back to school, getting a new job, organizing a big project, staring your own business, deciding to go after a dream after all these years, etc. Be prepared for some MAJOR pushback…and that’s okay. These top three categories are NORMAL. It’s supposed to happen. Your brain is just doing it’s job and YOU get to decide what to do. 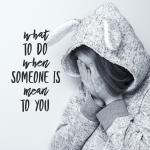 WHY is it important for you to do this? WHY do you WANT to do this? Are you ready and willing to have that little sit down with yourself? Most people aren’t. They have that spark and drive for a split second. They might even bring it up to others and nine out of the ten could be fully on board but the last one person and then yourself of course, contribute to #2 – FEAR and then they stop. They completely give up and when they do they feel RELIEVED. This is the truth, when you give up you will feel comfort and relief. That’s compelling in and of itself to stop but that comfort and relief will only last so long because after those subside all that’s going to be left is longing and disappointment because you felt something stir inside you. That excitement and call deep down that you are meant for more than where you’re at and what you’re doing. So the third thing you’re going to do after you’ve decided and had that pep -talk (which is going to continue all through the process – just be aware that it’s not a once and for all chat but an ongoing one) – you’re going to need to just START. Start before you’re fully ready. There’s NEVER going to be a “perfect” moment to do anything. You’re never going to be fully ready or prepared. Just START. Get up, put the phone down, and begin. You won’t be given that spark, that idea, that pull for anything UNLESS you already have the capacity to OVERCOME those roadblocks that your brain is trying to sell you on. If you can keep this in mind it’s easier to have that chat with yourself. There is always going to be pushback. No matter what you want to do. It’s not your brain’s fault that it argues with you. It’s just doing it’s job to keep you safe. You’ve been safe doing what you’ve always done so don’t try anything new – stay safe and small – stay in this cave. Have you seen the movie, The Croods? A Dreamworks film from years ago. It’s one of our favorites because we’re just weird like that but the Dad is always trying to keep the family safe and doesn’t want them to go out and explore or try anything new because new also means danger. His family’s mantra is: “Never not be afraid!” – The whole film he’s just trying to keep his family safe and hiding in the cave because the cave has always been safe and kept them alive but the earth is shifting and they need to branch out and evolve. Similarly here, you can do what you’ve always done. You can sit and scroll through instagram and facebook (both I highly enjoy too) and skip out on valuable hours of working towards what you really, deep down want. It’ll be fun. It’ll be safe. But it will NOT help you to grow or evolve to the next level of YOU. Please don’t mistake this as saying that you NEED to change or do more. IF you are perfectly happy and content doing what you’re doing – by all means, continue!!! But if you know and feel that you are ready to do something more, be prepared for the heart to heart with yourself and STOP STARING and just START. You can do this. It’ll be amazing. TODAY IS THE DAY!? I’m drawing names TODAY for my 6 week coaching program for FREE to 10 participants!!!! Keep an eye out if you’ve entered – I’ll be sending an email out later today. 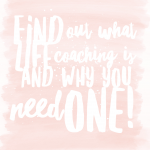 Set up a MINI – AGAIN – FREE COACHING!